DOCTORS used a 3D printer to help build a Melbourne man a new heel bone and save him from losing his leg to cancer, in a world-first procedure. Len Chandler, 71, is back on his feet after the Melbourne team used scans of his left heel bone to create a 3D image of his right one. They then used the 3D version to help construct an exact replica of the bone, the calcaneus, where a tumour had taken over. Patients with advanced cancer in the calcaneus often lose the leg below the knee as it is too difficult to replace the highly complex bone, which must move in tandem with the shin and foot bones. But the combined efforts of St Vincent's Hospital surgeon Prof Peter Choong, Melbourne biotech company Anatomics and the CSIRO to build Mr Chandler a new one have placed our city at the forefront of body-part development. The final report of Strategic Review of Health and Medical Research (HMR) in Australia has been released. 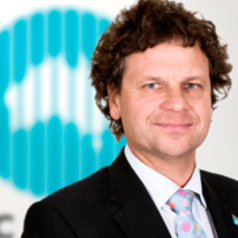 Three members of the panel who worked on this review, Simon McKeon, Professor Ian Frazer and Bill Ferris take part in a studio discussion with Dr Norman Swan to talk about their work on ABC Radio National. The ACMD project will embed research and research training into the health system and achieve better health for all Australians. AdBioFab is a conference focused on additive fabrication and its application to medical devices and technologies. It brings together clinicians, medical device manufacturers and materials science researchers and provides a platform for collaboration. This conference is essential for policy makers and investors alike to gain insights into the convergent technologies that now, because of additive manufacturing, will be developed and taken to market faster. On Friday 22nd February, the ACMD Steering Committee approved the commencement of the procure and build phase. The Aikenhead Centre for Medical Discovery business case was presented to the Victorian Government on the 31st October 2012. We believe that the ACMD, as a project already in the advanced stages of development in one of Melbourne’s most prominent city gateways, could act as a model for future integrated health research centres across the country, acting as a forerunner to the establishment of 10-20 centres as recommended in the McKeon paper. The ACMD project is in direct alignment with the key pillar of the McKeon framework, as detailed in theme one of the paper, to Embed Research in the Health System. The proposed Centre is to be located on site at St Vincent’s Hospital Melbourne and has many of the tenets of the Integrated Health Research centres. A new way of terminating epileptic seizures with electrical simulation is on the cusp of human trials. Seizures are detected and and a small stimulus is applied directly to the brain to interrupt this activity. Approximately one per cent of the world’s population suffers from epilepsy and of these, 30-40 per cent have uncontrolled seizures despite medications. The majority of these medically refractory patients are unsuitable for surgery, the end result being a large, unmet need for alternative therapies. People who are unable to control their seizures experience a drop in quality of life, often self-limiting their activities and social interactions, and there is an enormous financial cost of ongoing medical treatments and hospitalisations. The ACMD research has the potential to provide seizure freedom and quality of life to millions of patients worldwide.